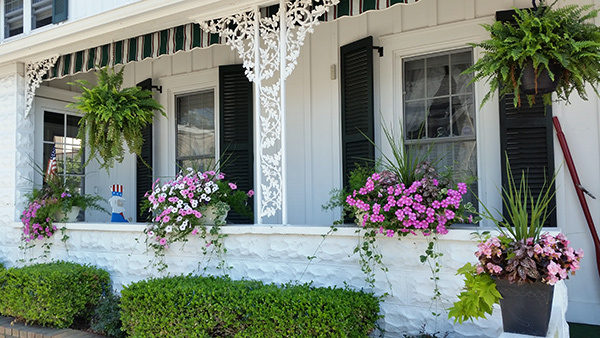 While maintaining the antique integrity, the Keystone Guest House offers contemporary conveniences to assure a pleasant stay regardless of the season. We have four cozy, comfortable suites to choose from. Besides a bedroom, each suite has a private, full kitchen, sitting area and private bath with shower. Wireless Internet is also provided at no additional charge. Each suite includes one parking space on the north side of the Guest House. 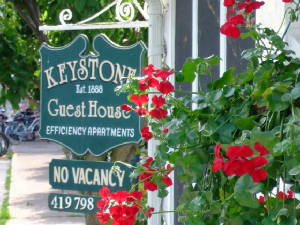 The Keystone Guest House is centrally located in Lakeside, Ohio. The Keystone is close to sailing, swimming, tennis, biking, walking trails, restaurants, movie theatre, and parks, all provided by Lakeside. 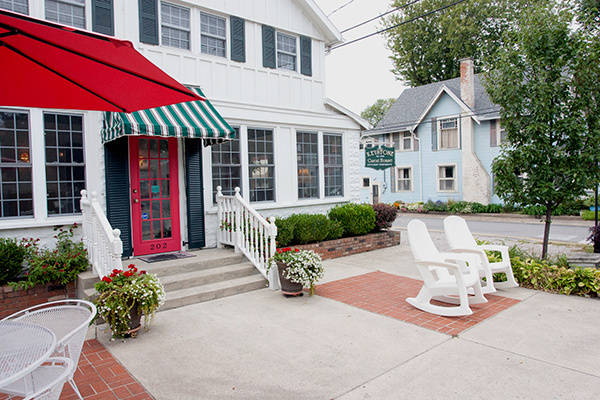 Lakeside, a small gated community on Lake Erie, is known as a premier Chautauqua destination. During the Chautauqua season your Chautauqua fee includes nightly entertainment at the historic Hoover Auditorium. Visit www.lakesideohio.com to see a schedule of events and entertainment. Lakeside has a sense of the past where you come to relax and rejuvenate mind, body and spirit. Rated by TripAdvisor as "#1 of the B&B's and Inns in Lakeside"